All told, 2017 was another very good year for the Nissan brand in Canada with continued growth in all major market sectors, yet Joni Paiva, president of Nissan Canada takes nothing for granted and the Nissan team in Canada, from head office through the valued dealer network, will not be resting on their laurels anytime soon. Complacency is not part of Mr. Paiva’s—or Nissan Canada’s lexicon. 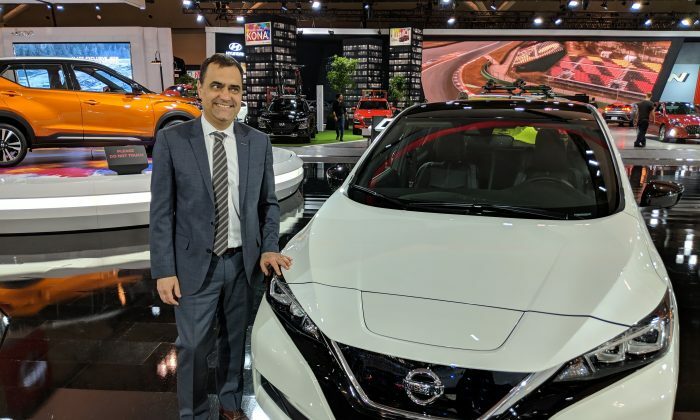 We caught up with Mr. Paiva during media day at the 2018 Canadian International AutoShow (CIAS) in Toronto this past February and had a candid conversation regarding Nissan going forward. By way of background and to put 2017 into Nissan-specific context, the Nissan Division set an all-time record with 134,244 total sales, up 10 percent over 2016. Furthermore, Nissan Canada also established calendar-year sales records for six different marques—Rogue, Murano, Armada, Frontier, Titan, and NV200. The top-three selling Nissan models in Canada are: Rogue, Murano, and Sentra with respective sales of 43,418; 15,120; and, 13,883 units. There were also a couple of heartening results for the popular Japanese brand, which bodes well for 2018: sales of the brand new Qashqai sub-compact SUV were strong with 8,970 units sold—and that’s only with almost seven full months of sales; and, the TITAN full-size pickup truck moved 5,692 units—up 109.7 percent over 2016. The third element Mr. Paiva referenced is the very strong retail network Nissan has developed and nurtured. Nissan dealers across the country solidly support the brand and are engaged in their business. Recently, more than 50 percent of their dealers have, to date, invested in renovations and upgrades to reflect the next phase in the brand’s growth. With the introduction of the upcoming sub-compact Kicks, Nissan hopes to have all bases covered in the expansive crossover segment. With an appeal to owners looking to “graduate” from a hatchback, for example, the Kicks, for a little more in the monthly budget will provide owners with a well-appointed entry level utility vehicle which may ultimately, for some, serve as the beginning of a long-term relationship with the Nissan range of crossovers. Today, many mainstream manufacturers see about 70 percent of their sales volume coming from light trucks and utility vehicles and Nissan is no exception. By staying on top of this continuing upward trend, Nissan intends to ride the wave and provide a viable range of alternatives for the discerning buyer in Canada with their “something-for-everyone” approach—much as they have done since coming to Canada.